This clear blue topaz is so perfect that you will feel like you are dreaming when you see it. This art nouveau creation designed by the jewelry experts of Apples of Gold is what dreams are made of. 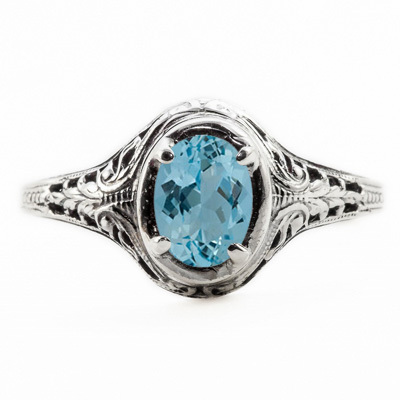 The high quality 14K white gold setting is accented with the most beautiful blue topaz gemstone that is oval cut and placed in the center of the ring. This object of desire measures 7mm x 5mm. 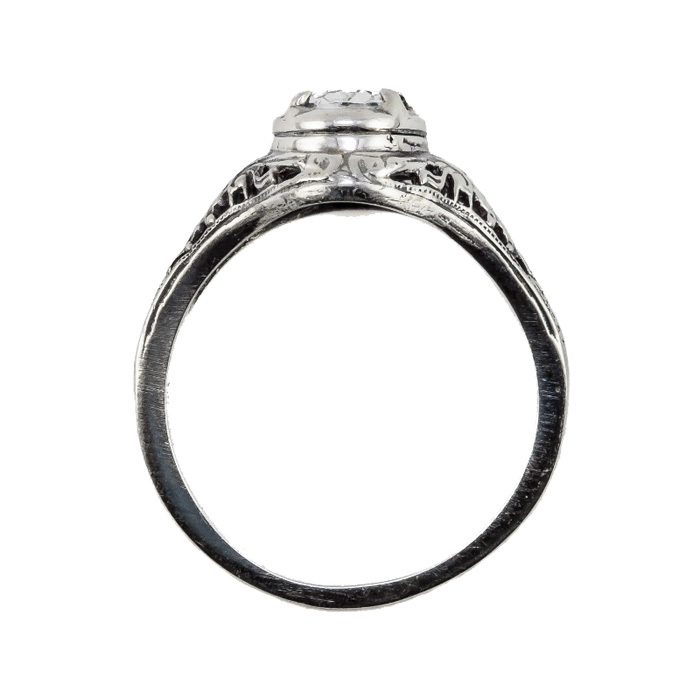 Please reference our ring sizing chart and buy one today for yourself and every special woman in your life. Ready to ship from our jewelry emporium to your house today. 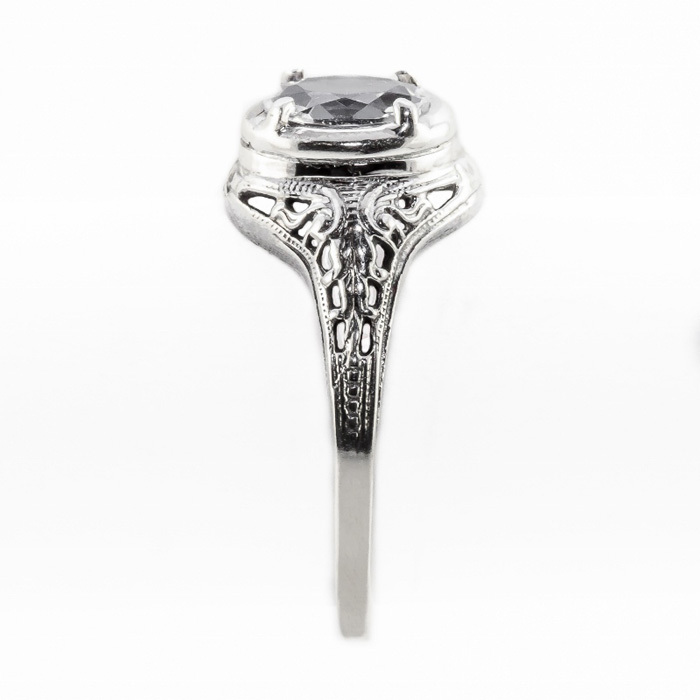 We guarantee our Oval Cut Blue Topaz Art Nouveau Style 14K White Gold Ring to be high quality, authentic jewelry, as described above.